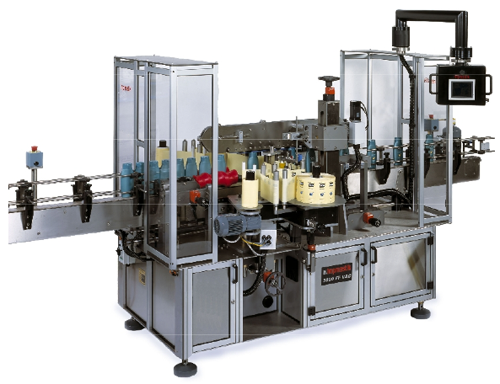 BEL 270 Hot Melt Glue Sealer, providing customers with a fully automatic solution for sealing with glue. New technical improvements are incorporated to decrease the possibility of contamination and oxidation. Proper cork setting is ensured through automatic cork adjustment without intervention. 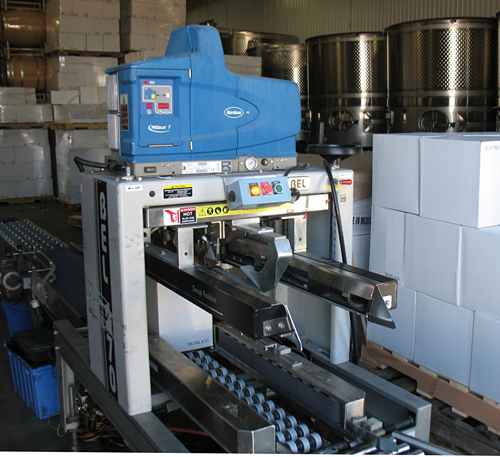 Bertolaso Corker—Cork diameter is easy adjusted through quick release compressions boxes. 4-jaw compression system is cam driven for consistent performance and guarantees accurate, uniform compression. Mechanically driven plungers ensure consistent and accurate cork height. Quick release corker jaws facilitate cleaning and minimize downtime. Oversize jaw compression box to reduce wear and increase reliability. Patented vacuum system to evacuate neck head space. Adjustable star wheels to accommodate several bottle sizes and profiles. Sensor to detect cork presence in the bottle with audible alarm. State of the art "4D" Filler. 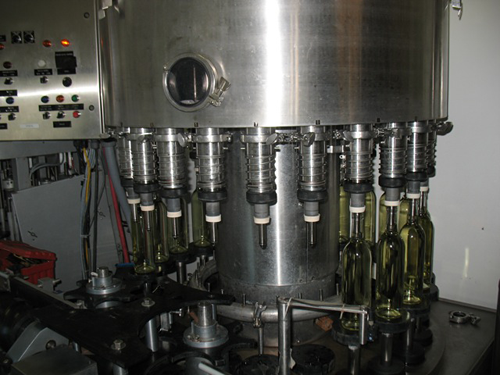 Our customers wine is handled very gentle with smooth flow design valves. Very Low Oxygen pick-up with State-of-the-Art “4D's” filler. More consistent fill levels. High output through 24 valve filler. Steam sterilized. Exclusive patented 4D quick changes fill tubes to handle with ease your varied bottle styles. Time saving label changes, enable increased output. Multiple label formats allow decreased printing cost with consistently high label placement accuracy. 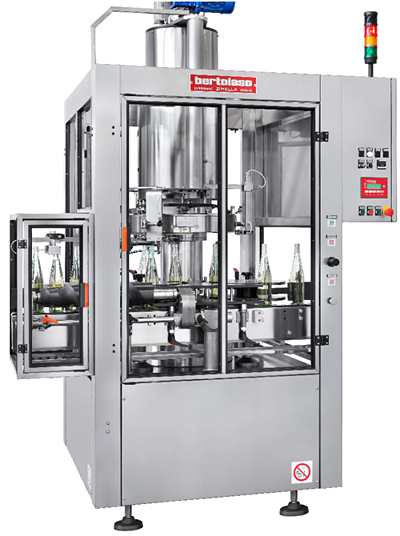 Flexible machine accommodates your various bottle shapes and sizes. label both straight and harder tapered bottles. 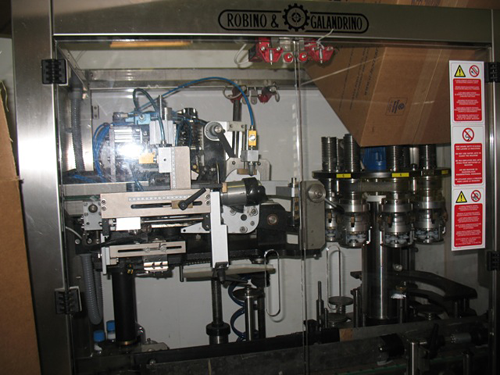 Each head is capable of applying 1 or 2 labels with simple adjustments. Label front and back at speeds up to 100bpm+ from your single web. Increase output through easy label change over allowing our customers to change labels. Vacuum belt technology allows for multi-panel labels easily and accurately.